Win a copy of Lionel Loueke’s “GAIA” album! 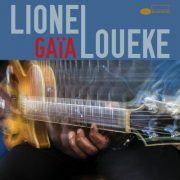 Check out Lionel Loueke’s GAIA on Blue Note Records. The album features the Benin-born guitarist with his long-time working trio of Massimo Biolcoti on bass and Ferenc Nemeth on drums. The three have been playing together since their days studying at Berklee School of Music in the late ‘90s. You can find more information about the album here. Loueke will perform with the Blue Note All Stars on the Blue Note at Sea Cruise in January 2018. Sorry, this giveaway is closed. But feel free to enter one of our current contests here.